Photo Credit: Katherine Welles / Shutterstock, Inc.
With the help of some simple math, statistics and basic honesty this article could write itself. To clarify, guns are not the main topic here. To this writer it is not the second amendment, gun manufacturers or the NRA that is behind America’s rash of gun violence. It is a generation long plunge into Godlessness that robs people of hope, faith and morality. Add to that, the slaughter of innocent unborn babies to the tune of 60 million since 1973, these two are what make today’s nascent disrespect for life easy to understand. Then comes the pseudo-science of Darwinism that presumes to tell us when life began billions of years ago, but they are as yet, unable to say for sure when life begins in the womb. They insist the newly forming human being is a lump of tissue and can freely be discarded at the whim of the mother or the murderer depending on what nomenclature you choose. In a world where mankind insist that the only reasonable formula for ascertaining truth is, “seeing is believing” it doesn’t seem to work when it comes to the matter of when human life begins. We needn’t call in Dawkins, Hawking (too late) or Einstein (way too late) because using their favorite formula leaves us in an area that can only be referred to as rank absurdity. For the sake of argument, if we use their formula – what happens? What we see is – mangled bodies, bloody torsos, little bloody fingers and decapitated human heads – all the visible product of the abortionist’s scalpel. It is not after all just tissue, but it is – altogether human. How do you make them see? Can we rub their faces in all this blood and flesh like we were trying to house train a puppy? How do we break through to a tricked out conscience? If they refuse to engage their own favorite formula – why do we give them a scintilla of credence? 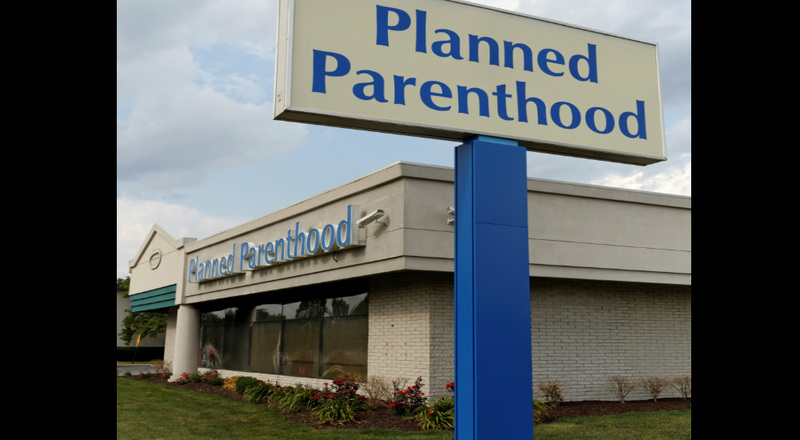 As appellations go it may seem soundly appropriate to call Planned Parenthood the great “Apollyon” (Re 9:11) of this generation rather than guns and those who use, or at times, mis-use them. Let’s see why! According to the U.S. Army History Military Institute the greatest number of casualties lost in all our wars was the 630,000 lost in our own Civil War. Roughly 500,000 were lost in by combining the death toll of both WWI and WW2. In fairness we may only parallel those deaths by war and gun violence that have occurred since the inception of the Supreme Court ruling of Roe v. Wade in 1973 which allowed the indiscriminate abortion of unborn babies throughout the land. That figure rounds out at approximately 65,000 deaths by guns and war against the 60 million deaths aided by Roe and Planned Parenthood. The death of unborn babies under the auspices of Planned Parenthood is now 1,000 times greater than all deaths attributable to war and gun violence since 1973. This is where the reader should pause. This kind of comparison should jog the conscience of the hardest souls in our nation, but apparently it does not. This writer has many friends which are either writers or publishers and while I can’t remember which one of them said it, I will never forget what I read. One of my friends said that when they put out a piece on abortion the readership plunged to an extreme low. They could get more reads from a piece on the viscosity of slug slime. Death by abortion being 1,000 times greater than death by guns and war means many things. To start, it means that 60 million women, all products of the “sexual revolution,” have been responsible for more human deaths than all the servicemen and soldiers in the entire U.S. Military since 1973. But the truth is that they are responsible for more deaths than those lost in both world wars. It means that the most deadly instruments of death in America are not guns, but the scalpels and medical equipment of the abortion doctors. It means that the greatest genocide in modern history is being cast upon minority black Americans because over 35% of all abortions are done to black babies. It means that the greatest moral decline in history has gone on to become the greatest single hypocrisy in the world. As stated, it is – hypocrisy greater than the world itself. Finally, it means that when Jesus Christ was speaking to a crowd about the moral conditions that would be prevalent as we approached the last days, he must have seen this callous generation. He must have seen men and women who were totally unaware of their own collective penchant for death while at the same time they are found railing against a kid with a gun or a deranged individual who shoots others in a rage.